What has your work as a BYC Ambassador involved? 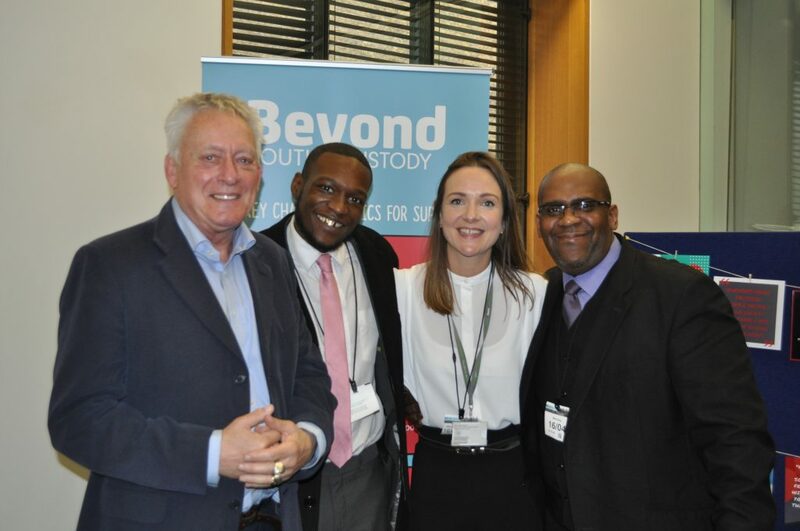 As a Beyond Youth Custody (BYC) Ambassador, I had the privilege of delivering a speech in the House of Lords celebrating the work of the BYC programme and launching the Lessons from Youth in Focus report. I spoke to a full audience of representatives from the justice world; from the Minister for Youth Justice to young people who have been through the system. During my speech I outlined real practices needed to create and promote credible rehabilitation outcomes something BYC is central in. I have accompanied BYC staff on three visits to Medway Secure Training Centre to lead workshops with young people about their views on youth justice. This was so that we could get their voices heard at a policy level at BYC’s event that was thrown in Parliament. What has your favourite/ most proud moment been? What are your top 3 pieces of advice for decision makers looking at youth justice reform? Focus on education as a way to help provide young people with skills based training in trades and production, as well as focusing on the need to gain academic education to make it easier for them to gain employment, access to further education or training upon release. It’s well known work is a route away from crime – it’s time we invest in getting our young people jobs ready before they are released. Being locked up 18 hours a day in some young offender institutions (YOI) in particular is counter productive. Mental, sexual and physical health all need to be assessed for every young person upon introduction into the establishment they are held. Interactive workshops are also needed based on these topics of health by facilitators with training in these fields. A holistic approach is needed throughout establishments. Knowing many complex issues plague one young person life alone. Have a more culturally diverse workforce from top to bottom within establishments. Directors / Governors. Ex-offenders in the service amongst the workforce. More people of race up and down the land from top to bottom. Something that reflects the environment one is working within. We can talk about what needs to be done all day, but unless we employ those who have lived it and showed themselves to be rehabilitated to take positions in which they directly affect reform themselves from top down, we have lost and shall keep going around in circles. A diverse workforce is from the chair, to policy makers onto the people on the ground working ever so hard within our establishments. What are your top 3 pieces of advice for young people who are in custody, about to make the transition into the community? Gain some type of qualifications – education and skills based education will provide one with different options than what came before. Not just in social group but future prospects into employment. Plan your future from there. Never feel as though your life has stopped by being custody. Always look forward to release. Talk to loved ones about issues one may face once released and try to get them sorted from inside. What is most important is that you believe in yourself. Believe you can make a change whether it’s friends, social groups. Believe that you can use what you had gained inside, no matter how big or small; whether it was a qualification or knowledge to help push yourself further, maybe get involved with a local organisation or charity who can help you settle back into the community as you see fit. We all need support. So that someday not to far from that release date they become a credit to their community and society as a whole. They must believe in that and the hope things can be better than they currently are. I’d like to thank the Lottery for funding things like BYC to do the work they have done and for projects like Action West London & the Youth Transition Network (YTN) which I benefited from enormously. Without question it was the difference for the better in my life. Think of the young people today, life isn’t easy at all. It’s fair to say a lot more young people would be in prison or dead who have gone on to fulfil their tremendous potential and promise without the help of the Lottery’s generosity. All one can do is thank the Lottery and be sad to see the back of BYC. For young people it was an unprecedented lifeline. That gave me a chance to build a life coming from a background like mine.